Wow. I posted last week, but it didn’t ever go online – and I didn’t even notice. My very first Friday Favorites is a week LATE – darn you WordPress!! I’ll actually post that real first one some other time, but in the meantime, here are some of my favorite buggy things from last week! Frozen water boatman. Photo by Chris Helzer, used with permission. 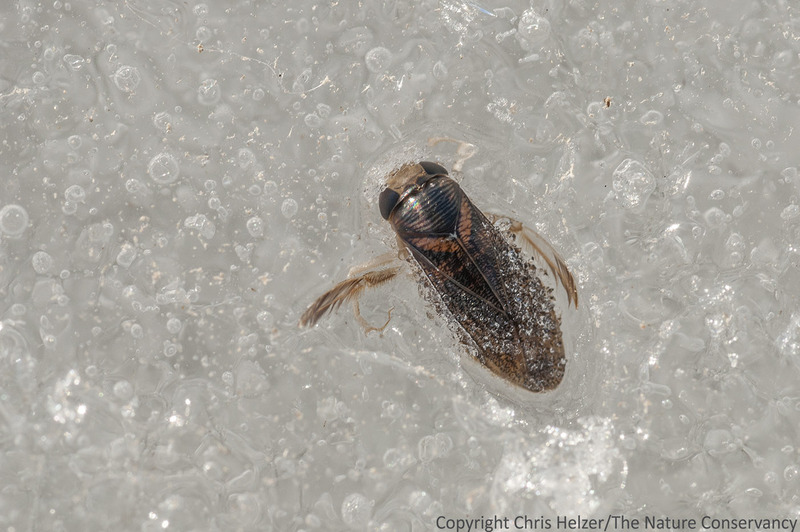 That’s a water boatman, frozen in the ice! Now that’s just cool, literally and figuratively. 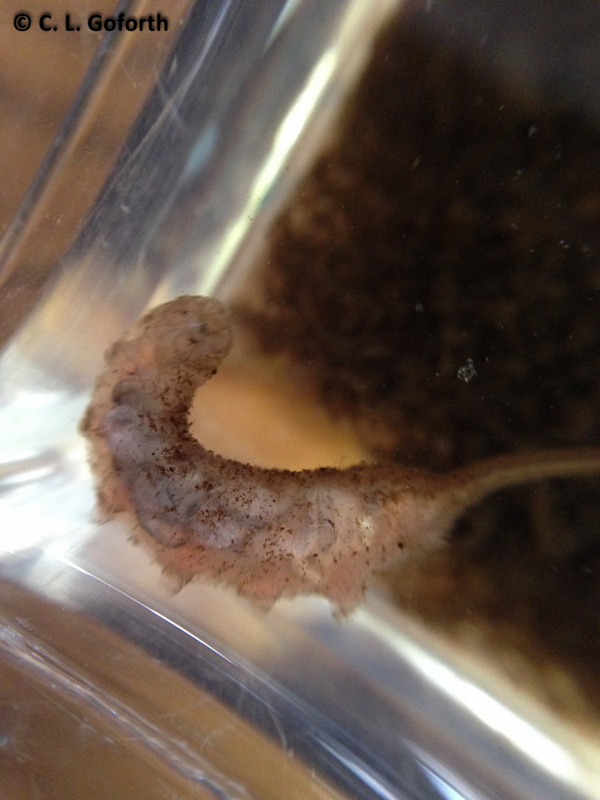 I encourage you to read the rest of the post because the photos are great and it highlights an interesting natural history phenomenon, though the whole blog is quite good. I ended up poking around and reading random posts for about an hour last night, which was enough to convince me that I should become a follower. Now I can learn all about prairies in Nebraska, which, considering I work at a prairie in North Carolina, might actually be useful for work as well as satisfying my natural curiosity about the world. Well, so far these posts have been a bit less scientific than I’d expected to make them, but maybe that’s okay. I just need to get back into posting the more scientific posts as well, to balance out the cultural entomology and “fluff” that I seem inclined to post on Fridays. We’ll see how it works out! 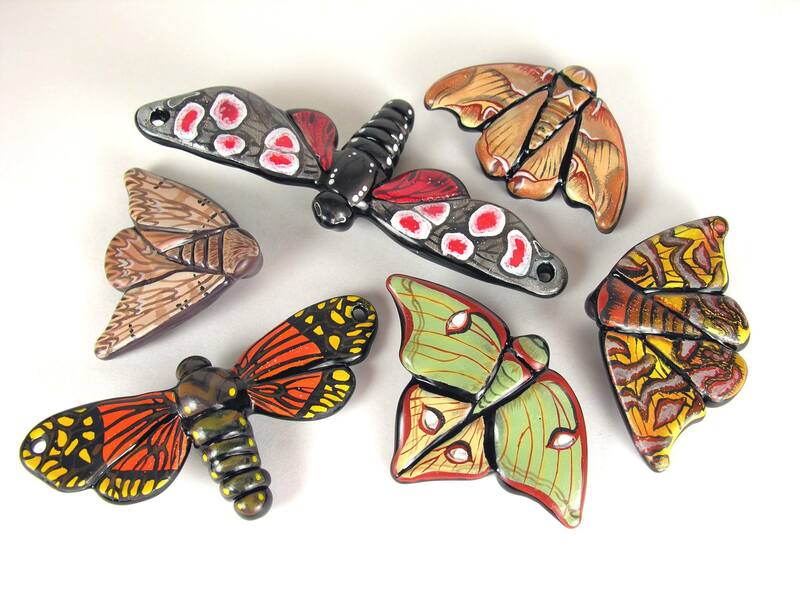 In the meantime, anyone want to share some cool insect-related thing they experienced this week? I welcome links to blog posts, stories, anything you want to share – in the comments below! Sorry, no links but I did enjoy reading your post. 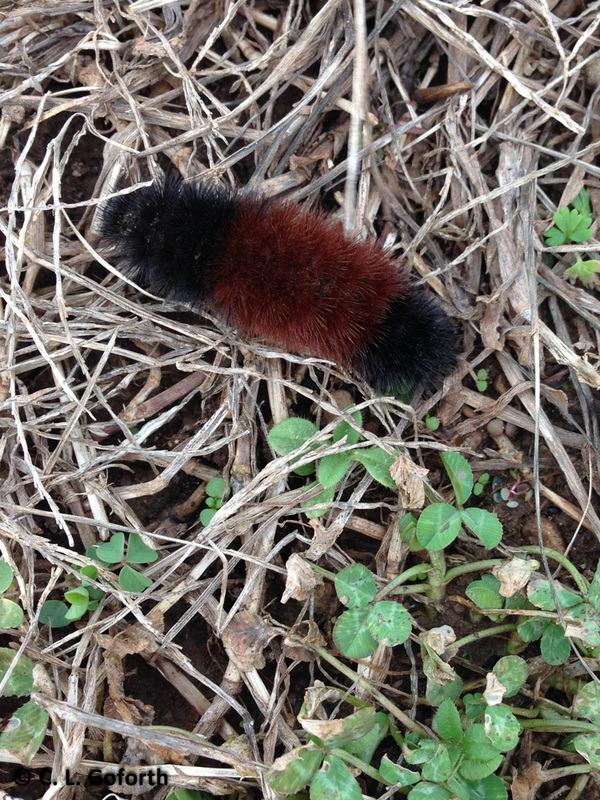 The Woolly Bear looks to be dressed appropriately for your weather. Oh my! So much in one post I don’t know what to comment on first! I wonder how many colloquial names there are for fuzzy bugs? OOOH! I just made that up – fuzzy bug, I should copyright it. There are probably dozens of common names for fuzzy bugs! That’s the joy (and the curse) of common names. Hope you find some good ones. You have a monarch?? Fun! So lucky.